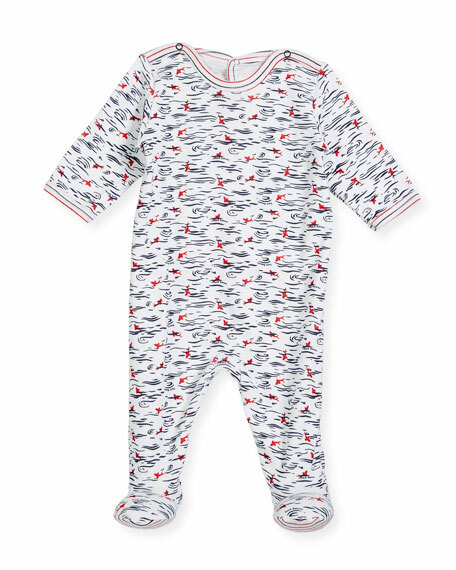 Petit Bateau footie pajamas in allover wave print. Crew neckline; snap back with seat flap. Long sleeves; snaps at shoulders. 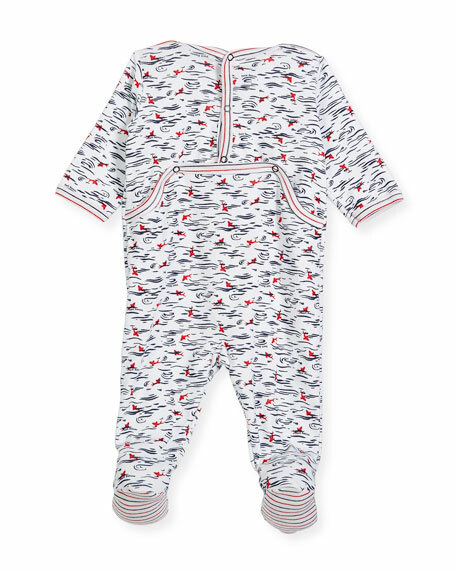 For in-store inquiries, use sku #2482960.